Making A Living From Bricks And Mortar: Is It Still Possible? You may have heard about changes in the UK’s tax law – specifically, the one that affects landlords hoping to earn a good living. The rental sector is under the microscope and is experiencing a range of new policies. But are they better for landlords, or tenants? In short: is there still a reason to invest in buy-to-let (BTL) property? In our guide to the best investments, rental property made the list. So let’s examine how a profit may be helped or hindered by tax legislation, alongside some business tactics. Until recently, landlords were able to offset their mortgage interest against rental income from their home as a deductible expense. Now that’s no longer the case. By the 2020-21 financial year, 100% of a mortgage interest will not be tax-deductible. However, this deduction has been replaced by a 20% tax credit, which will have the greatest effect on higher earners who would’ve benefitted more from tax relief under the old rules. That’s a drop of almost £2,000 per year. It is certainly harder to afford a large mortgage, unless the rent you’re charging is also relatively high. It’s worth mentioning the assumed advantages for buying and letting out property as a limited company. In most cases, going limited can do much for their owners – reducing tax bills, and leaving them free to claim dividend payments. As a prospective landlord, you may want to register with Companies House yourself – but beware of the downsides. Business mortgages tend to carry a higher interest rate. There are also Capital Gains Tax (CGT) considerations in transferring properties into and out of limited companies. If you are considering this, please seek the advice of a professional before making any changes. By using a good broker, you can find a more accommodating lender. Otherwise, the loss may outweigh the gain – especially if you take on several new properties every year. We must also investigate two further points of change, to determine whether you’re looking at a great earning model. Buying a property may be more sensible if you can purchase it at a good price (one of the lower two tiers, perhaps) in an up-and-coming area. Earning well from a landlord business is still achievable; you just have to be smarter than ever about where to buy. Learn as much as you can from an estate agent or local expert to gauge the areas that are due to increase in value over the next decade. However, Stamp Duty – like solicitors’ fees, can be offset against your CGT bill. Remember you only pay tax if the gain on disposal is greater than the CGT allowance of £12,000 (2018/19). British landlords have enjoyed a lot of freedoms and benefits to their portfolio, until recent times. Today, there’s a triple threat of zero mortgage offsetting, questionable limited company advantages, and the general price of BTL stamp duty. Yet you can make it work. Just ensure you have the right tax advice for landlords, as well as the specialist acumen to buy and sell in a way that maximises profits. Rental demand is still very high in the UK. To make the most of it, discover GoSimpleTax, the mobile app that you can use to complete your tax return for landlords – one you can trust, with full expenditure records and real-time updates. 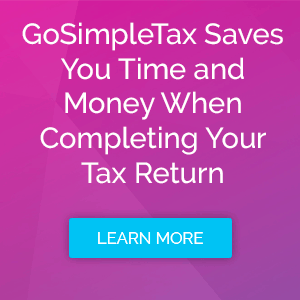 Try GoSimpleTax for 14 days, free of charge, today.